Toy Story, it's such a familiar name to those who were born in late 80s and early 90s. And even if you don't remember the story line anymore, i bet you will still remember the characters very well. 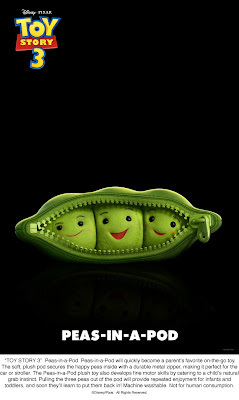 Kayz, i'm looking forward to see this peas-in-a-pod in Toy Story 3. Reason? It's just way too cute, even guy can't resist XD!! !